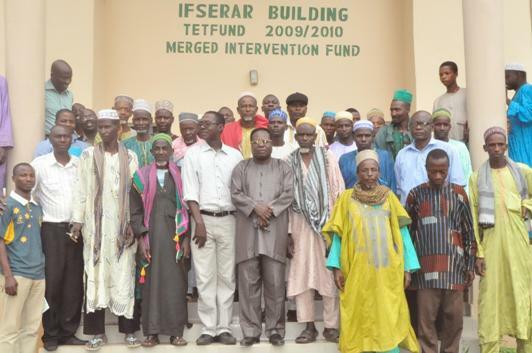 The Institute of Food Security, Environmental Resources and Agricultural Research (IFSERAR) and neighbouring Fulani herdsmen have reached an agreement to foster stronger ties of peaceful co-existence. Arising from a meeting on campus, the Director of the Institute, Professor Akin Omotayo said the University and its host community were partners in progress and should work together to improve research activities of the University which will in turn benefit the society. “The University may employ some of your men to rear our cows. The people rearing the University cows are your people”, he added. Professor Omotayo re-called that on several occasions,the Fulani cows destroyed the University Research Farm to which a lot of funds had been committed. According to him, “About two weeks ago, a report got to me that your cows have destroyed some research farms. Before now, your cows have destroyed grazing plants meant to feed University animals. We don’t want this any more, that is the reason of this meeting”. He explained that the University often used chemicals to carry out research, which may be harmful or cause sudden death of their cows, if eaten. Professor Omotayo remarked that the University is not interested in the death of their cows. He therefore, implored the Fulanis to stop their cows from straying to designated research areas. Responding, the Acting Seriki Bororo of Alabata Fulanis, Alhaji Usman Abdulahi, appreciated the parley and urged the University to always call for such meetings. He said this would be used to solve pressing problems in Nigeria. The Seriki of Fulanis from Opeji, Alhaji Ahijo, also promised that they would pass the message to various groups in order to avoid anything that will lead to destruction. The meeting was attended by Fulanis from Opeji, Alabata and its environs.